Area Track Meet Results-Online & PDFs! Click Here for Online Results for Area Track Meet! Top 6 Place Results and All Results are also available as PDF files below. District 25-2A 2019 Track Meet results PDF files are available below - for Top 6 Places and All Participant Results. Click Here for Live Results for District Track Meet! 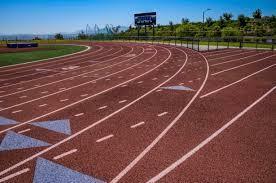 Thrall ISD is also hosting the Area Track Meet on Monday, April 8 at Tiger Stadium. Its PDF schedule is also provided below. Go Tigers & Tigerettes - All the Way to State!